Simon Gookin was born on 15 August 1718 in Hampton, New Hampshire.1 He was the son of Rev. Nathaniel Gookin and Dorothy Cotton.1 Simon Gookin married Prudence Illsley on 21 March 1742. [S161] Frederick William Gookin, Daniel Gookin, p. 5. [S161] Frederick William Gookin, Daniel Gookin, p. 11. Samuel Gooking was the son of Maj. General Daniel Gooking.1 Samuel Gooking married Mary (Unknown). Adam Gordon was born circa 1726. He was the son of Alexander Gordon 2nd Duke of Gordon, 5th Marquess and Lady Henrietta Mordaunt. Adam Gordon married Jane Drummond, daughter of John Drummond, on 2 September 1767 in St. George's, Hanover Square, London. 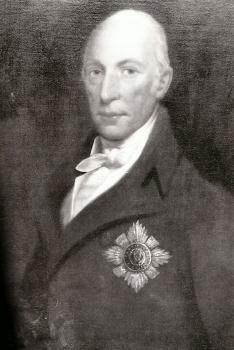 Adam Gordon died on 13 August 1801. (unknown) Gordon b. a 1801? [S380] James Frederick Skinner Gordon Lachlan Shaw, The History of the Province of Moray, p. 61. [S470] Scotland, Old Parish Registers, 164/ 0030 0274. Alexander Gordon, 3rd Earl of Huntly was the son of George Gordon, 2nd Earl of Huntley and Princess Annabella Stewart. Alexander Gordon, 3rd Earl of Huntly married Jean Stewart, daughter of Sir John Stewart, of Balveny 1st Earl of Atholl and Margaret Douglas, circa 20 October 1474. Alexander Gordon, 3rd Earl of Huntly died on 21 January 1524 in Perth. Alexander Gordon 4th Duke of Gordon, 7th Marquess, 1st Earl of Norwich was born on 18 June 1743 in Gordon Castle and was styled Marquess of Huntley. He was the son of Cosmo George Gordon 3rd Duke of Gordon, 6th Marquess and Lady Katharine Gordon. Alexander Gordon 4th Duke of Gordon, 7th Marquess, 1st Earl of Norwich was christened on 21 June 1743 at Bellie.2 He was educated between 26 July 1758 and 1760 at Eton and it is said, at Harrow. He married Jane Maxwell, daughter of Sir William Maxwell 3rd. Bart. and Magdalen Blair, on 23 October 1767 in Ayton, Berwick, and also at Mr. Fordyce's house in Argyll Street, Edinburgh. 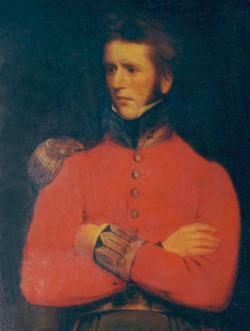 Alexander Gordon 4th Duke of Gordon, 7th Marquess, 1st Earl of Norwich married Jean Christie, daughter of Mrs. Susan Roberstson, on 30 July 1820 in Kirk of Fochabers, Bellie, by the Rev. William Rennie.3 Alexander Gordon 4th Duke of Gordon, 7th Marquess, 1st Earl of Norwich died on 17 June 1827 in Mount Street, Berkeley Square, London, at the age of 83. He was buried in Elgin Cathedral. [S380] James Frederick Skinner Gordon Lachlan Shaw, The History of the Province of Moray, p. 58. Alexander Gordon Master of Huntly was the son of George Gordon, 4th Earl of Huntley, Earl of Moray and Elizabeth Keith. Alexander Gordon Master of Huntly married Barbara Hamilton, daughter of James Hamilton, 2nd Earl of Arran, Duke of Châtellerault, in 1549. Alexander Gordon Master of Huntly died in 1553 dvpsp. Maj. Gen. Alexander Gordon R.E. [S17] John Gask, Les Jumelles and their families, p.21. [S430] Constance Oliver and John Malcolm Bulloch Skelton, Gordons under Arms, p. 36. [S205] Newspaper, The Scotsman, 10th April 1863, page 4. [S205] Newspaper, The Argus, 16 July 1921. THE LATE MAJOR-GENERAL A.W. GORDON. [S205] Newspaper, The Belfast News-Letter (Belfast, Ireland), Monday, August 31, 1891. [S205] Newspaper, The Guernsey magazine, Vol. XIX. [S298] H.G. Hart, Army List, 1885, p. 546. [S205] Newspaper, The Argus, 8 November 1869. Anne Gordon was born on 16 March 1748. She was the daughter of Cosmo George Gordon 3rd Duke of Gordon, 6th Marquess and Lady Katharine Gordon. Anne Gordon died on 7 June 1816 at the age of 68 s.p. Anne Gordon was born circa 1713. She was the daughter of Alexander Gordon 2nd Duke of Gordon, 5th Marquess and Lady Henrietta Mordaunt. Anne Gordon married William Gordon 2nd Earl of Aberdeen. Anne Gordon died on 22 June 1791 in Edinburgh. Anne Gordon was the daughter of Lewis Gordon 3rd Marquess of Huntly and Mary Grant. Anne Gordon married Sir Miles Crouly circa 1694. Anne Gordon was born circa 1646. She was the daughter of Lewis Gordon 3rd Marquess of Huntly and Mary Grant. Anne Gordon died on 13 March 1726.